Ethiopia is demonstrating that the patriarchy can be dismantled, one woman at a time. Africa’s second most populated country elected its first female president, Sahle-Work Zewde in October 2018. Not only is the nation ahead of over 100 countries in the world including Spain, Japan, The Netherlands, Egypt and the US, who have never had a woman head of state, Ethiopia also boasts one of the world’s only gender-balanced Cabinets. And it doesn’t stop there. Africa News reports that ‘there is no stopping the train of women empowerment’, as Meaza Ashenafi has been named as the country’s first female President of the Federal Supreme Court, Aisha Mohammed became the nation’s first female Defence Minister, and Muferiat Kamil will oversee the newly formed Ministry of Peace. Ethiopia’s commitment to challenging gender disparity by tackling inequality at the highest levels should be celebrated globally. It’s a model that most of the world needs to learn from if we’re ever going to see gender equality become a reality. Why is this such a milestone? In 2017, Ethiopia ranked 121st in the UN Gender Inequality Index, being one of the countries ravaged by the worst levels of gender inequality. The country continues to live in a highly patriarchal traditional society. USAID reports that ‘women’s resources and community participation are usually mediated through men, either their fathers or husbands, and their agricultural contributions often go largely unnoticed’. In 2017, at just 11.2%, almost half the number of girls compared to boys had access to some form of secondary education. However, the new leading women are putting peace and education at the forefront of the agenda. The recent appointment of an equal number of men and women as ministers demonstrates that the country is making an effort to promote gender equality and ensure that women are involvement in peace-making processes. The most invaluable part is that young girls and women will now see themselves represented in fifty percent of the country’s leadership. 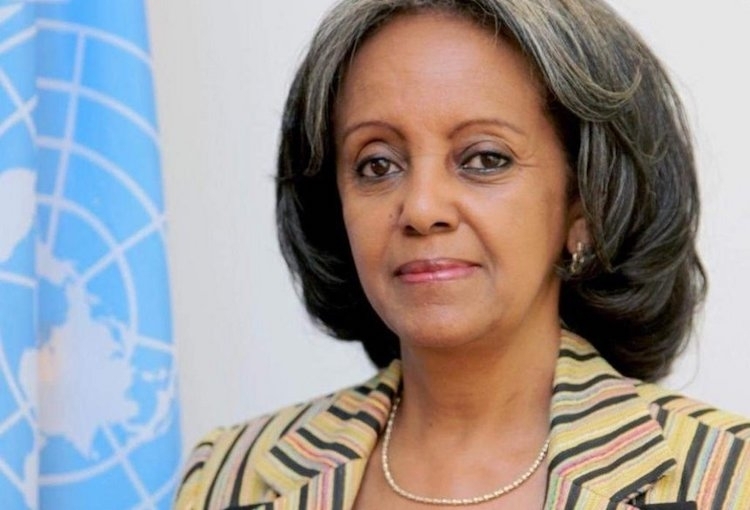 Sahle-Work Zewde has over thirty years of experience working as a diplomat, serving as Ethiopia’s ambassador to France, Djibouti, Senegal and the Intergovernmental Authority on Development (IGAD). She was also the UN’s top official at the African Union, and is fluent in English, French and Amharic. Meaza Ashenafi is the founder of the Ethiopian Women Lawyers Association and is an active Women’s Rights Activist. She has previously served as a Judge of the High Court of Ethiopia and worked in the Ethiopian Constitution Commission as a legal adviser and helped to lead the development of the first women’s bank in Ethiopia, Enat Bank. Muferiat Kamil was Ethiopia’s first woman speaker of parliament and continues to break down barriers, becoming the first Peace Minister. She is also the only female leader on the four-bloc coalition of the ruling Ethiopian People’s Revolutionary Democratic Front. Aisha Mohammed was previously the construction minister, and is the first woman in Ethiopian history to be appointed as Defence Minister. Her new role includes overseeing the country’s intelligence and security apparatus, including the Federal Police Commission. The country’s new Cabinet doesn’t just represent gender-equality, but also promotes ethnic and religious cohesion by appointing ministers from often-marginalised ethnic groups and Muslim women who wear headscarves. Ethiopia is setting new precedent for global powers, with Rwanda following suit by announcing a cabinet reshuffle that also saw 50% of the positions held by women. In the words of UN Secretary-General, Antonio Guterres, “The African continent is leading the way in showcasing that women’s engagement and leadership are crucial to lasting peace”.